Collect ducks and jump off the waterfall with them for points. 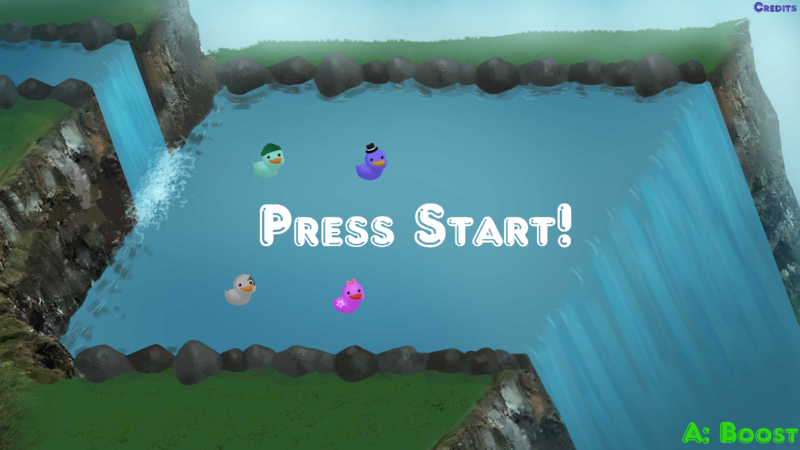 Don't wait too long to jump, other players can steal you ducks. When you fall off you will come back to collect more ducks.